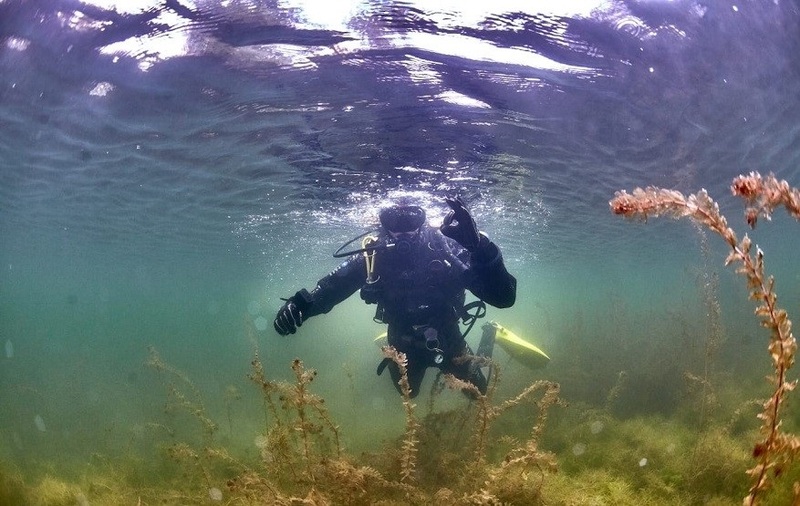 Divers from TPU-based Afalina Dive Club and TUSUR-based Nayada Dive Club have monitored the bottoms and shores at the Sennaya Kurya, Beloye and Neftekhimovskoye lakes in Tomsk. During September volunteers cleaned up in waters and coastal zones to compare the extent of pollution at the beginning and at the end of summer. Next Monday the club members will hold a workshop to sum up their work in the framework of the project Ecological Underwater Descent. 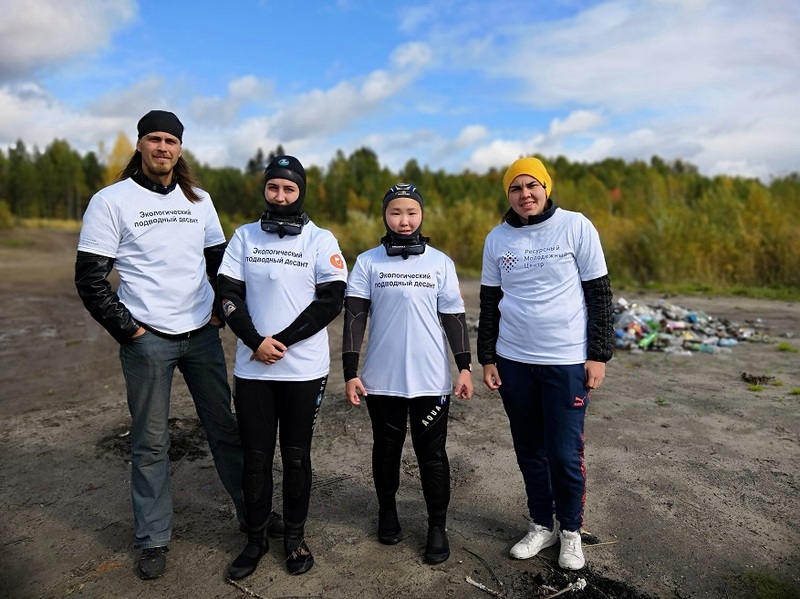 The project Ecological Underwater Descent started on 21 May during which the Afalina and Nayada’s divers took out garbage in the lakes of Tomsk. At the beginning of summer, they collected about 500 kg of trash in water and at shores. According to the scuba divers, in May the Sennaya Kurya beach was covered with plastic bottles. Then the cleaners collected 250 kg of garbage on shore and in water. 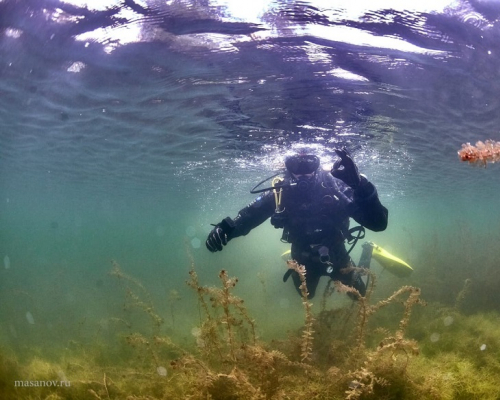 By autumn, the divers discovered just one bag of garbage. ‘The Beloye Lake is fully overgrown with algae, the bottom is covered with this ‘carpet’ and it is not clearly seen if there has appeared any garbage so far. In water, we found an umbrella, a salt cellar, and a broken lantern, although sunglasses, caps and even bags and purses are traditionally dropped into the lake every summer. On 24 September 2018, at 19:00 (209 lecture hall, TPU Main building) the volunteers will sum up their activities in the current year at the final workshop. The Afalina and Nayada divers will present the goals and tasks of the project Ecological Underwater Descent, screen ‘Before and After’ videos, and discuss their plans. The project was supported by the Federal Agency for Youth Affairs (Rosmolodezh) and became the only representative of the Tomsk Oblast among 200 winners of the 2018 Rosmolodezh All-Russia competition of youth projects. More information is available by phone 8-952-888-20-40 and on the official page of the TPU dive club.